Hopi girl. Photo by Edward Curtis, 1906. As everybody seems to be grieving the death of Carrie Fisher, best known for playing Princess Leai in the Star Wars film series, I thought it would be nice to share a detail about the hairstyle of said princess. 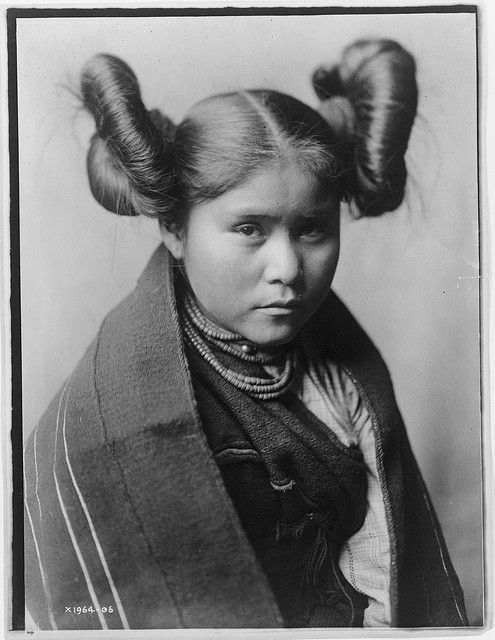 This complex hairstyle by some is said to be inspired by the coiffure that unmarried Hopi girls would wear. To make this hairdo, a young woman’s mother would wind her hair around a curved piece of wood to give it a round shape, then remove the wood frame. 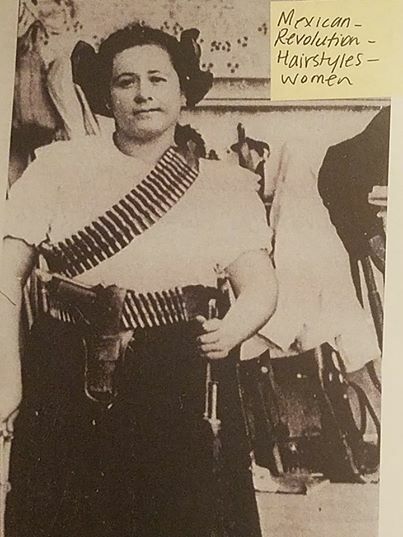 However, George Lucas, asked about his inspiration for what is now one of the most well-known hairstyles in SciFi culture, once stated that Leia’s hair is “a kind of Southwestern Pancho Villa woman revolutionary look” (source). 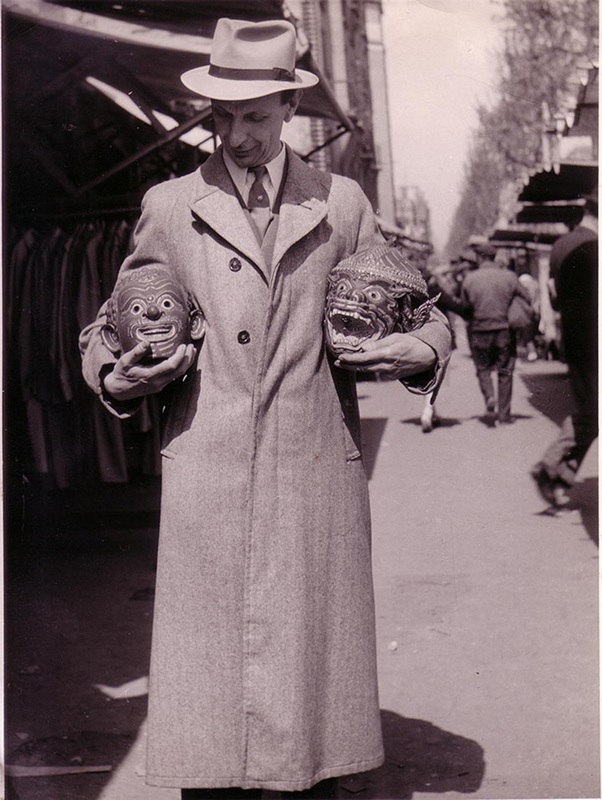 The below image from his costuming archive serves as proof. So consider this BBC story as incorrect. Picture from the ‘Stars Wars and the the Power of Costume’ exhibition at the Denver Art Museum. ps I talked about Star Wars on these pages before, click here to discover the Oceanic influence on one particular weapon, or here to learn if African art influenced the costumes in these films. This entry was posted in Research on December 29, 2016 by admin. 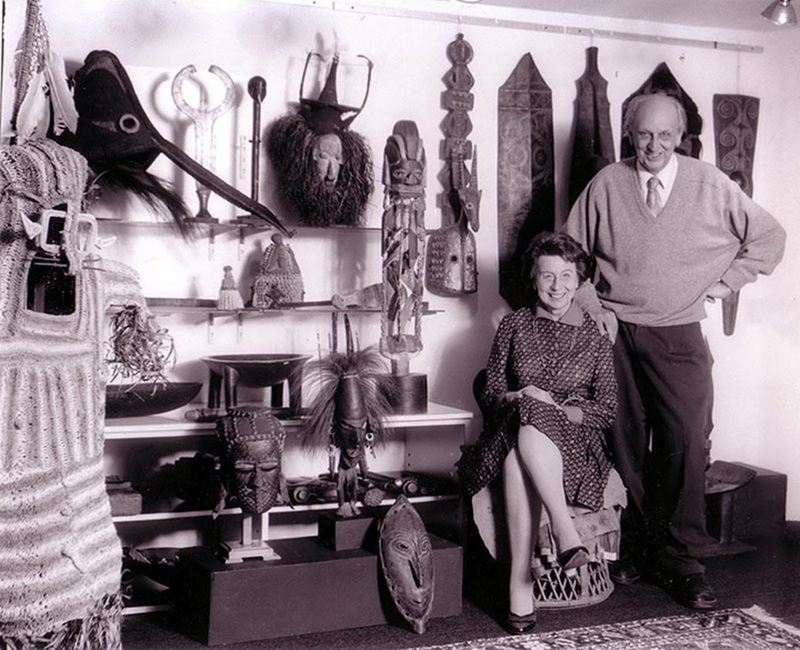 Therese Finette Lemaire and Matthias Lemaire, circa 1970s. Photo courtesy of Finette Lemaire. As my mentor Guy van Rijn always used to say when discussing old archives: “our greatest enemy is the trash bin”. Fortunately, more than ever, people these days realize the value and importance of photographic archives and not that much gets thrown away anymore. I was thus very happy to learn that Jen Larson, Assistant Visual Resource Manager at the Met’s Department of the Arts of Africa, Oceania, and the Americas (AAOA), recently digitized approximately 15,000 inventory photographs from the Amsterdam based Gallery Lemaire. This archive spans over 40 years of international, non-Western art-dealing activity from this well-known Dutch gallery. It was founded in 1933 by Matthias Lemaire and since then has been continually run by three generations of the family. The records unfortunately are not accessible online, but are open for research by appointment at the AAOA Visual Resource Archive – you can find more info here. Matthias Lemaire, circa 1950. Photo courtesy of Finette Lemaire. This entry was posted in Research on May 30, 2016 by admin. 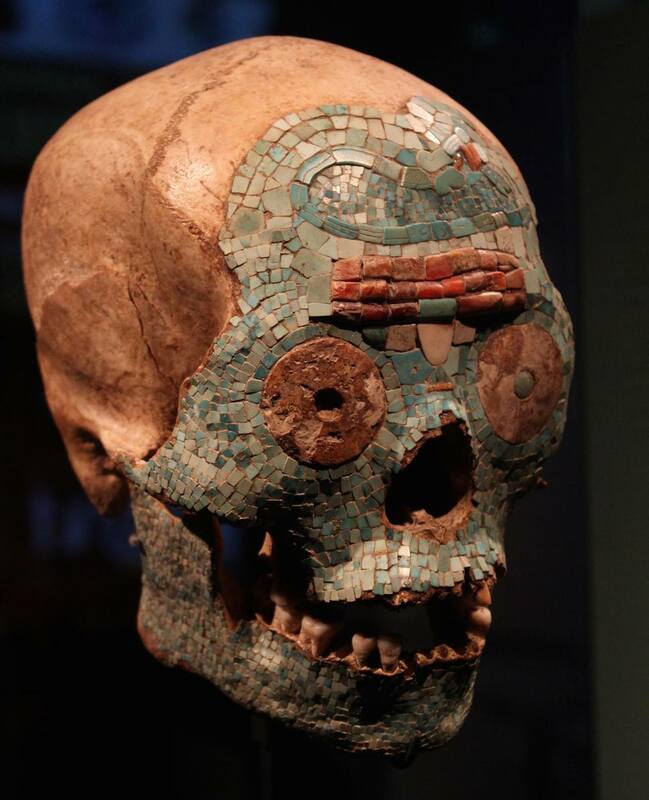 Image courtesy of Tim Hauf/Corbis. 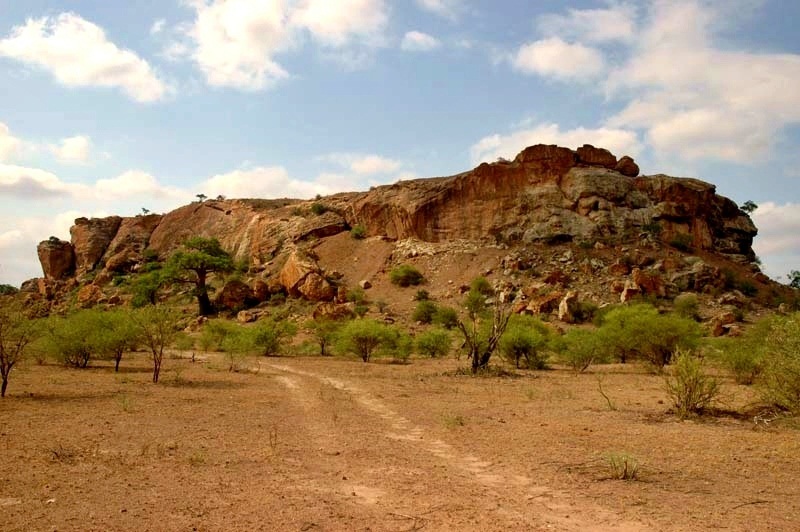 The above golden rhino is the best known remnant of the Kingdom of Mapungubwe, the first major urban centre in southern African history, which went into decline around the 1300s. Since the end of apartheid regime in 1994, the stunning object — just 15 cm long and more than 700 years old — has become a defining symbol of precolonial civilization in South Africa. Originally nailed on to a wooden carving, nothing is known about its function – but it is clearly the product of great workmanship. Described as southern Africa’s equivalent of Tutankhamun’s mask, the golden foil rhino could be displayed overseas for the first time in the British Museum at an exhibition of South African art late 2016. ‘Could’, since the South Afrian government already rejected a proposal for the rhino to be displayed in Paris in 2001. You can read all about the new request here. 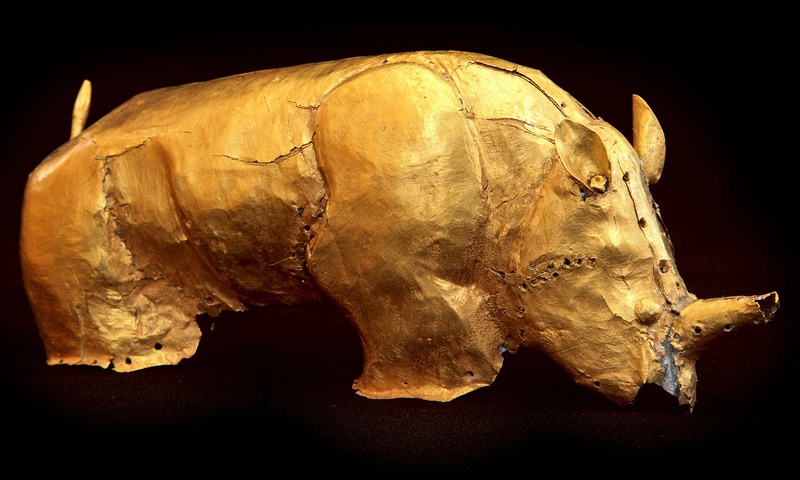 It would make a dramatic world debut for the rhino, which is currently on display in a little-known gallery at the University of Pretoria (which holds about 9 kg of gold treasures from the Mapungubwe). To date, the South African government has declined to say whether the object will feature as a star exhibit at the London show – although its absence obviously would be a great shame in an exhibition on the history of South African art. Learn more about the discovery of the site here. 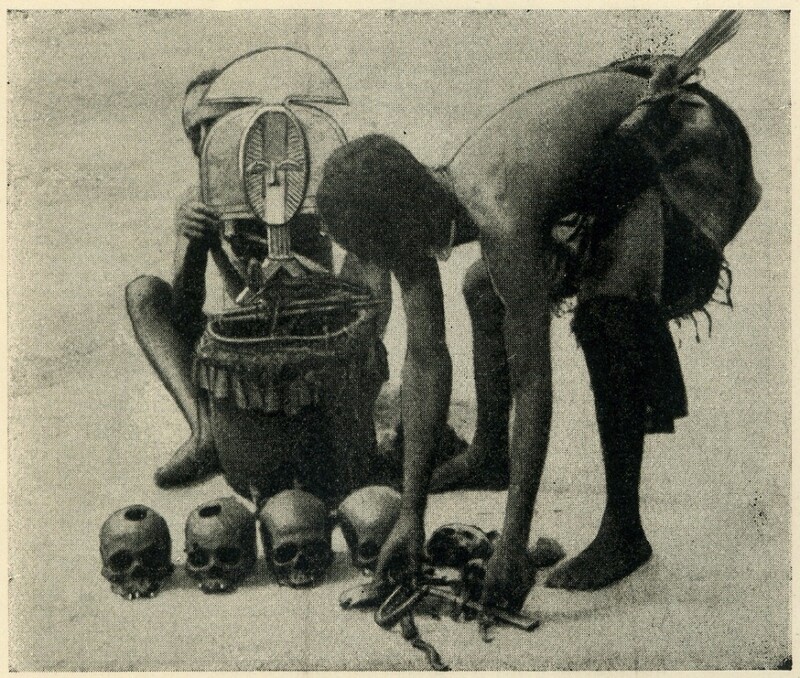 The site was rediscovered in December, 1932, by five white adventurers who had heard rumours of a great treasure. They persuaded the reluctant and frightened locals to show them a secret stairway to the top of Mapungubwe’s steep sandstone cliffs. Even 700 years after the kingdom’s disappearance, the local residents revered the hill so much that they would not gaze directly at it. But the treasure hunters quickly climbed up and dug out the gold artifacts. At first, they decided to split their loot, including the fabulous rhino. But one of the five – a young guilt-riddled university student – had a change of heart. He sent some of the fragments to a University of Pretoria professor, and the hill was soon purchased for archeological research. This entry was posted in Research on December 28, 2015 by admin. 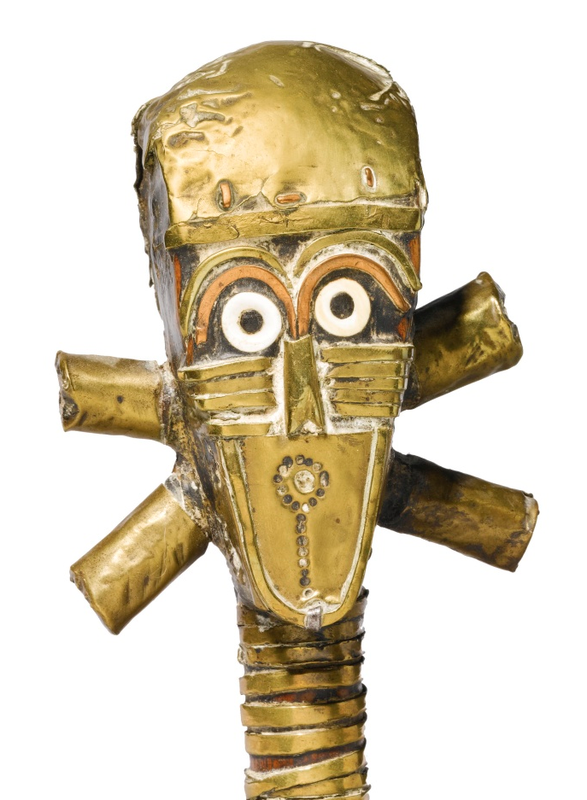 Detail of a Sango reliquary figure from Gabon. Africarium Collection. Image courtesy of Sotheby’s. 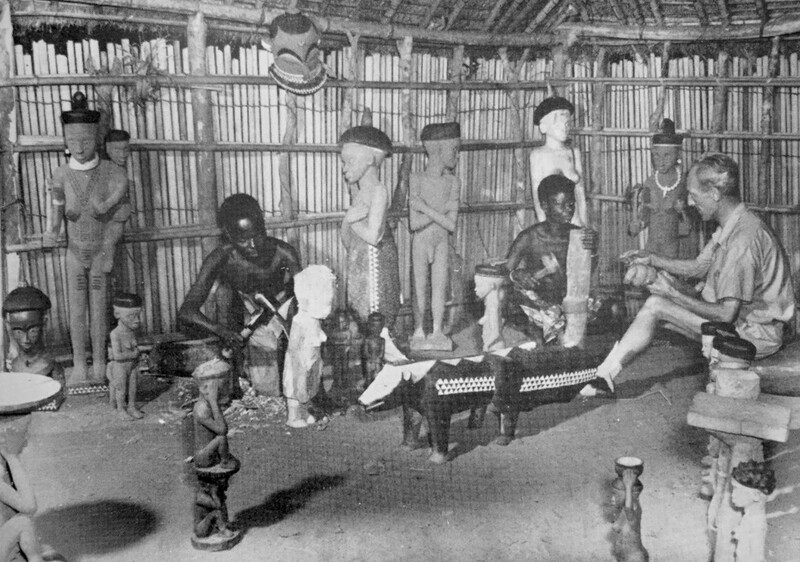 The word ‘Kota’ refers to a small ethnic group living in northeastern Gabon (estimated between 14,000 and 40,000 peoples by the mid-twentieth century), but one might be surprised to learn that there are no works in this exhibition created by the Kota people themselves. The reason for this is the result of a complex history. 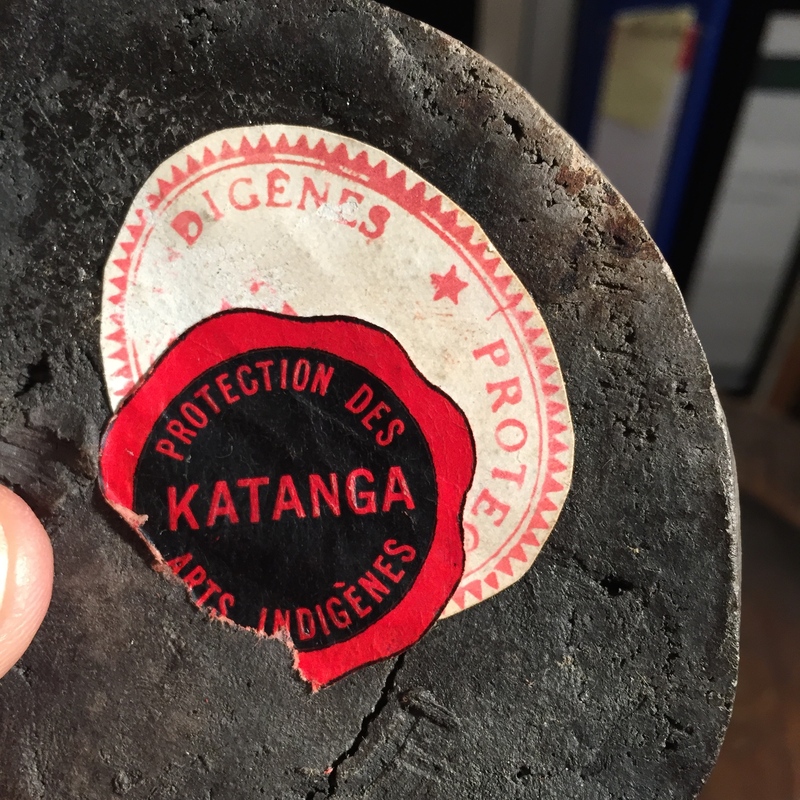 When, in the nineteenth century, Europeans started to explore eastern Gabon along the course of the Ogooué River, one of the first people they met were the Kota. 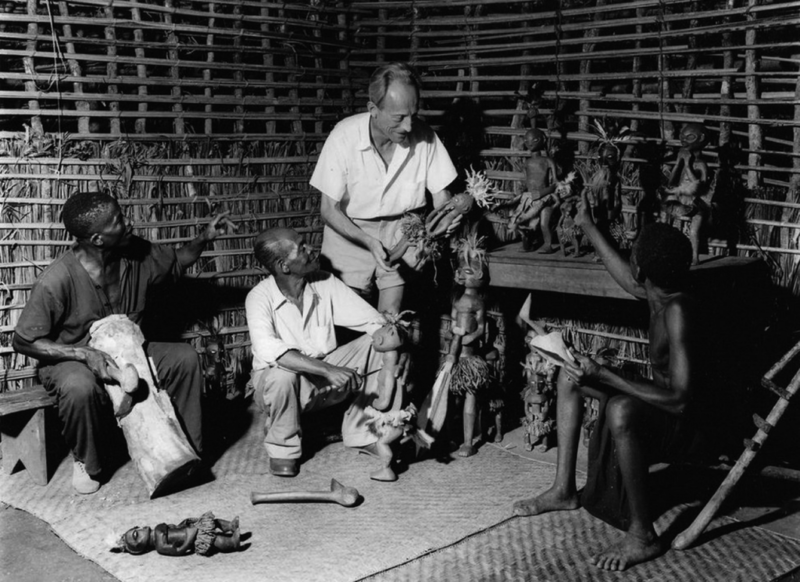 Only later, the European explorers encountered the peoples who produced the art we refer to as ‘Kota’; groups such as the Shamaye, Sango, Obamba, Wumbu, and Ndassa. Oversimplification over time led Westerners unfortunately to refer to all reliquary guardians from this region as ‘Kota’. This imprecise nomenclature now is so embedded that even Cloth remained obliged to use it for the title of his exhibition. Such fraught signifiers unfortunately tend to be hard to eradicate. Other examples previously mentioned on my blog are the so-called ‘Boa’ (info) and ‘Kulango’ spoons (info) – notwithstanding recent scholarship proved them incorrect, both designations are still widely used. This entry was posted in Exhibtions, Research and tagged Kota on December 21, 2015 by admin. 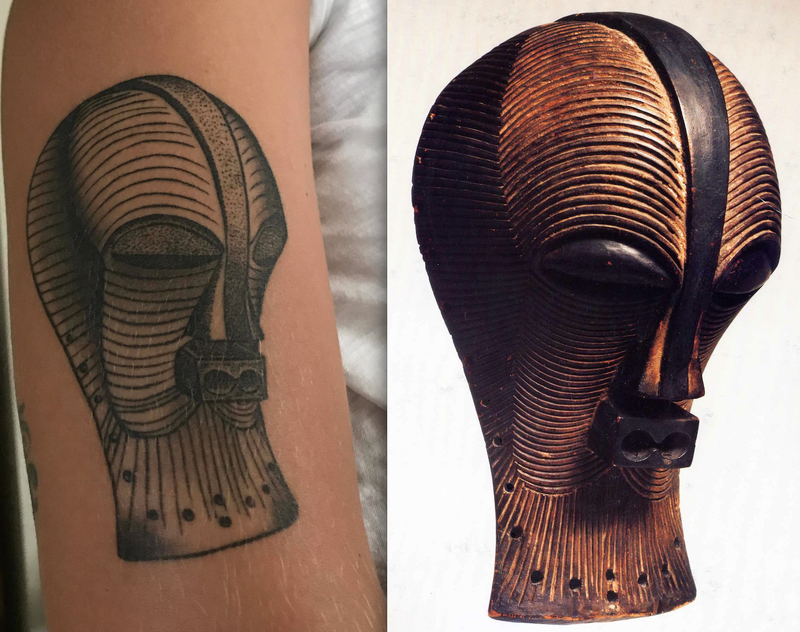 Marc Ghysels, always on the edge of new technologic progress, just released a first so-called ‘photoscan‘ of an African art object, see below (or here). It is a 3D view of a Djenne terracotta figure from Mali, which can be admired from all angles (and zoomed upon). I think it’s extraordinary and can’t stop playing with it. This imaging technique seems very natural (and in fact is very easy to use), but does require “a lot photographic and post processing work/time… as well as huge computer horsepower”, to quote Ghysels. The beauty of the technique is also that its final result can be easily displayed on an iPhone or an iPad without time-lag. In my humble opinion, it’s the future of online object presentation – especially for very three dimensional objects, such as this terracotta figure. The only thing that is still missing is a ‘PRINT’-option, but with 3D printing technology advancing rapidly that’s just a matter of a few more years. Update: the future is here ! A reader informed me about 3D scans taken at the San Francisco Asian Art Museum, see them here – the used software (TRNIO) even runs on an Iphone. 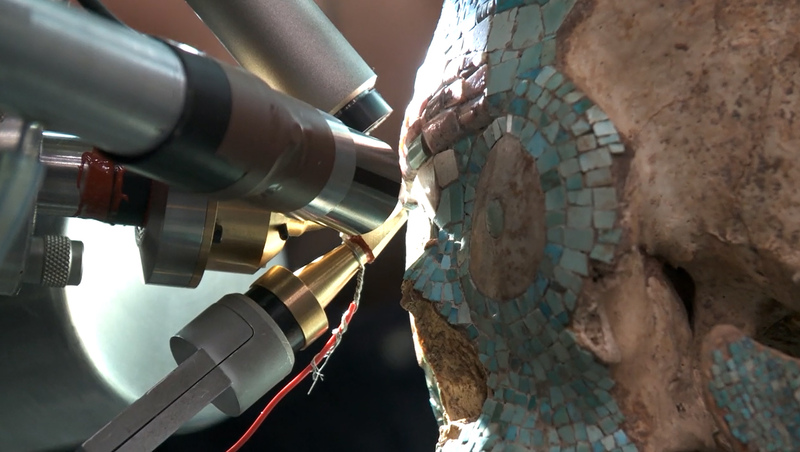 Update 2: the Indianapolis Museum of Art is already using this technology on their website, click here for a 3D view of a Songye figure from their collection. This entry was posted in Research and tagged Djenne on December 15, 2015 by admin.